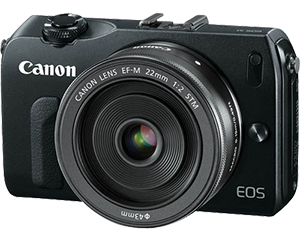 Today Canon unveiled their own mirror-less compact system camera, the Canon EOS M. With the same 18 Mega Pixel 1.6x crop factor sensor as used in the EOS 650D, this is promising to be a very nice compact system camera indeed! Together with the EOS M camera, 2 lenses (the EF-M 22 f/2 STM and EF-M 18-55 IS), a new flash (the EX 90) and an EF lens adaptor (to be able to mount Canon EF and EF-S lenses), will be made available too. For more information and specifications, please see the Canon website.